Late this summer I bought a great new ASUS laptop with Vista 64 on it. Well, I hate to be the last one on the block to play with a new Operating system, so 3 days after I bought it, I loaded Windows 7 Professional 64 bit (from MSDN). It worked great- no drivers needed! 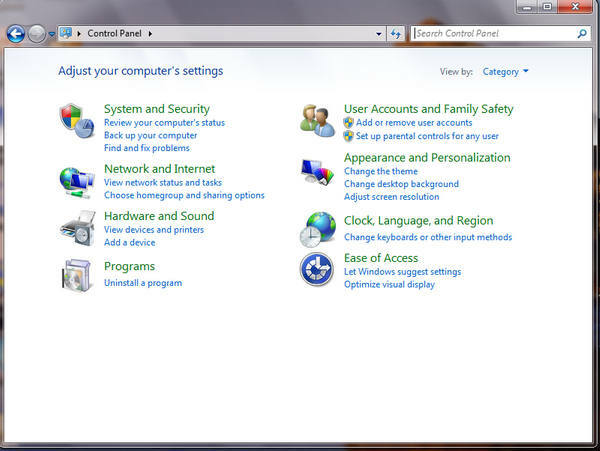 But, being a techie, I got used to going into the Control Panel and just selecting an icon of what I want to change such as System, Parental Controls, Date and Time, etc. instead of going to selecting a category first such as "System and Security" then the actual item I really want such as System. So with Windows 7, I could not find the "Classic" view of the Control Panel. But I solved it! Go to Start, Control Panel. I should open as below. On the upper right is "View by- Category"- marked by the big red ^^^^ below. it will drop down. 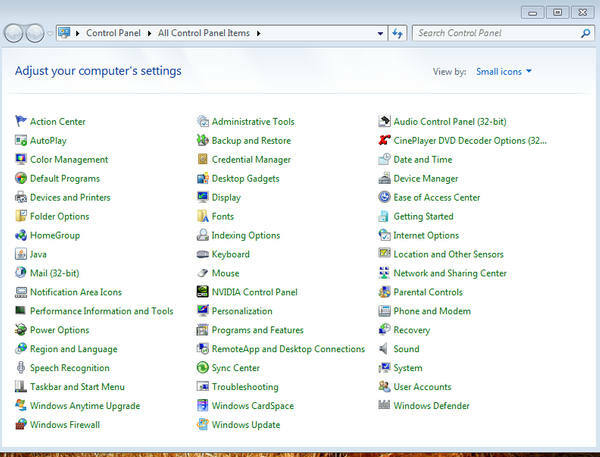 Select "Small Icons" and voila, the "Classic" Control Panel has now appeared. And if you have recently upgraded from Windows XP, just a quick reminder that "Add and Remove Programs" is now filed under P for "Programs and Features".